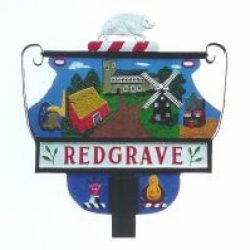 Tickets are available from Redgrave Shop, Wortham Post Office and Cut Above in Rickinghall. Also directly from Fiona Kenworthy 01379 309426 / 07811 790622. That makes a whopping total of £3,215.78! Thank you so much to everyone for joining in all the fun, and for supporting all the events so generously. A Charity Auction (see below) will be conducted by Elizabeth Talbot as part of the ticketed event “Lots To Talk About: The Life & Work of an Auctioneer” being held on Monday 9th October at St Mary’s Church, Redgrave. Cartoons will be sold to the highest bidder(either from the online auction or on the evening of 9th October). If payment from these bids is not received within 14 days(see below) the next highest bidder will be contacted. Payment by the successful bidder must be made within 14 days of the auction date,09/10/17. The cartoon can be delivered to the successful bidder within a 20 mile radius of Redgrave or may be collected by the buyer themselves at a pre arranged address/time. Cartoon can be posted via Special Delivery(next day) service at an additional  charge of £6.45 which will insure for loss or damage up to £500.